Peck Lake Houses and Real Estate with Top-Rated Coldwell Banker Arlene M Sitterly, Inc. 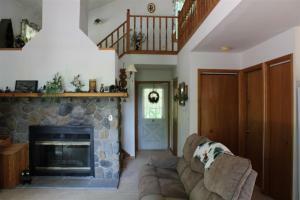 Considering purchasing property on Peck Lake? Just a 45 minute drive from Saratoga Springs, this 1,370 man-made lake features crystal clear water, a full-service marina, and some of best fishing in all of Fulton County. A close-knit community encircles the lake and welcomes yearrounders and summer visitors alike to this charming Southern Adirondacks village. 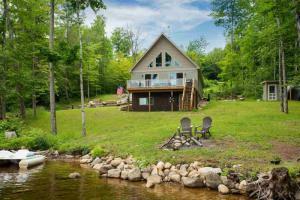 Browse our collection of one-of-a-kind Peck Lake houses and residential properties, but act fast! Many houses don’t stay vacant long in this sought-after lakeside location. 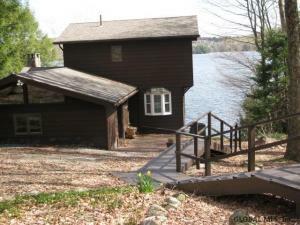 Now is your chance to own a pristine home on Pecks Lake at end of the road perched on it's own quiet hill surrounded by forever wild on 2 sides! 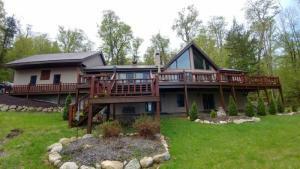 Newer home was solidly built and incl open concept living, wood stove, large windows w/sweeping lake views, Generac auto generator, docks & great frontage on lake! 2 1st fl bedrooms incl master suite & 3rd bedroom upstairs with private half bath. There is a ton of storage over the garage & partially finished walkout basement! 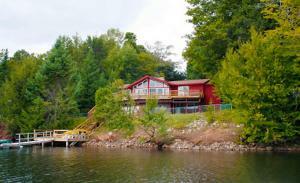 Lake living just 45 mins from Saratoga!